As the first official UK champs of ICCA, the Techtonics have much to be proud of, as well as much to look forward to. 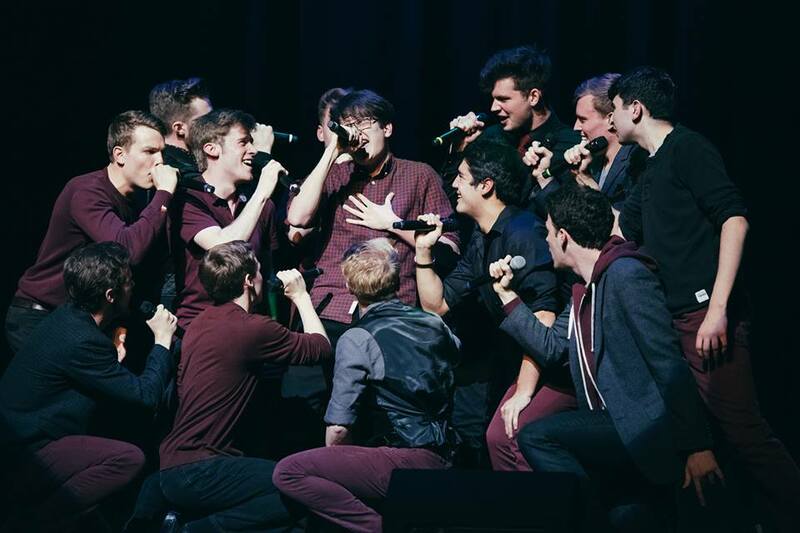 With winning the most prominent competition in the collegiate a cappella scene comes an influx of recognition, from both the aca-world and typically media attention in general, new fans from all around, more ears listening to their recorded material (and hopefully purchasing a few copies), and lasting memories from the months of commitment to such a strenuous process. With the group having a moment to catch their breath, we thought we'd check in with them to give you an inside look at what was involved in their road to ICCA success, as well a few details you may not know about The Techtonics. COLLEGE ACA: Can you tell me about the group's founding? Any specific influences that you all can point to that inspired your style? The group was founded in 2008 by 2 guys, Carter and Brightman, who lamented the lack of a cappella at Imperial College. That has since grown into a large a cappella society, which houses 5 established groups of all styles and genders, of which the oldest is The Techtonics. The Techtonics style is completely influenced by the members of the group at the time - all arrangements are arranged by members - but recently we have swung towards high energy (rock, pop etc) with some electronic influences. But next year, with a new set of people, that could all change! How did you all come up with the name "The Techtonics"? You'd have to ask the founding members for the specifics, but generally it follows the tradition of a cappella groups being a play on words, and also reflects our technological/science/engineering background - Imperial College has no arts/music students, so neither does The Techtonics. So, what is it like being in an a cappella group from Imperial College London? Is a cappella big on-campus? Has it led to any cool or interesting performance opportunities? It has recently become much more high profile since winning the ICCA, but we still enjoy small lecture based performances with the other a cappella groups. I guess the coolest gigs we've done have been some weddings and marriage proposal flash mobs - those are always very enjoyable, exciting, and fulfilling. Do you have any crazy stories from group road trips, performances, or rehearsals? Haha, well, we have plenty from the couple of tours that have gone around America, such as the recent tour in 2015 through [the] Northeast and Canada. The most amazing experience we had there was performing for a day and night, with kids at a summer camp deep in the wilderness of Canada, by a deserted lake. It was completely surreal. What was preparation like for ICCA? Were there late night rehearsals, special diets, etc.? Were the songs you performed arranged especially for the competition? We mostly just rehearsed, a lot. After the event, we worked out that we had spent approximately 170 hours in total rehearsing the set over the past 7 months. Much of that was the intense rehearsal period we had between the semifinals and the finals - in one week leading up to the finals we rehearsed for 2 hours every day. The songs were a mix of augmentations of songs we already had in our repertoire, and new arrangements that our Music Director and committee felt best showed off our abilities. Can you tell us about your trip to the US for competing in ICCA? Was this the first time to the US for any of the members? Did you guys check out any cool spots? The whole trip was very whirlwind - because the finals were in the middle of exams for many of our members, we could only afford to fly out for the weekend, so we only ended up staying in NYC for 48 hours. Most of that was taken up with sleeping (oh wow was the jetlag hard) and sound checking/performing. One thing we did get to do was warm up and do a little practice of our set in the sunshine in Central Park before the show, which made it onto the worldwide snapchat story! How does it feel to be the first UK champs of ICCA? Kinda surreal to be honest. We've had overwhelming support from our university and student body, and lots of congratulations from a cappella friends across the pond, but most don't know what it is here. Even so, we feel completely over the moon, and still think of the whole event as a bit of a dream. Did it even happen? Any big plans for the coming school year? A new album, more competitions, Fall concert tour? Our big activity right now is preparing for our return to the Edinburgh Fringe Festival this August! It's exciting to be back there after a 5-year hiatus. We recently released an album, Clockwork, in Sept 2015, so for next year the focus is on releasing some cool videos - that is an area we feel our group can do much better on! Look out for the official The Techtonics video of our winning set, coming out soon. Also, check us out on Facebook, Twitter, Instagram, YouTube, Club Penguin, and I even think we have Runescape and Neopets accounts! !